One of the most disruptive forces across various industries today is digital currency—are you taking advantage of it? With a growing number of crypto-millionaires making headlines practically every day, more and more people are finally taking cryptocurrencies more seriously. But, is it too late now to take a bite of the proverbial digital currency pie? Here’s the good news… If anything, the present might just be the best time to start investing in digital currency. Make sure you have a smart investing strategy designed by an expert who knows this industry and how to make the most money in the smartest way possible. 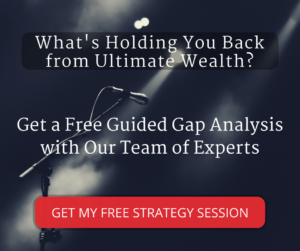 If you don’t have a clever and innovative strategy layed out, jump on a free Gap Analysis strategy session with an expert from our team to discuss your current situation and what you need to be doing to build the most wealth. Anyone following the stock market and monitoring the world economy knows that everything is built on debt. That is, businesses – no matter how big or small – are exposed to the risks of inflation. This is just how our world economy works. But this is not the case with digital currency. Why? Because digital currency is deflationary. In our current system, the demand for more money means creating more to accommodate the demand—and this usually results in inflation. 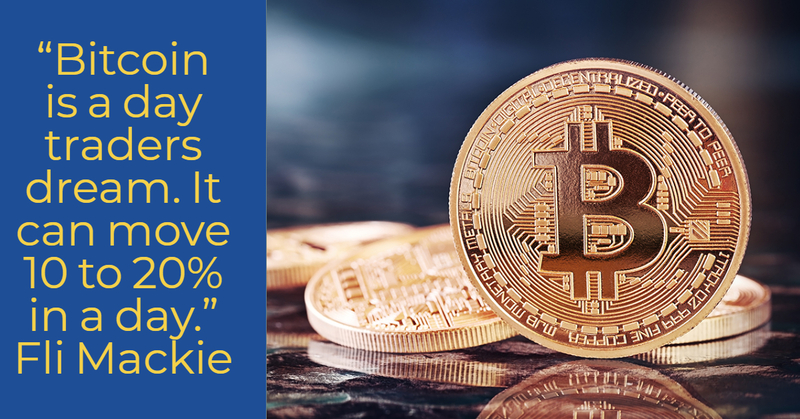 For digital currency, however, there is no necessity to make more. You simply need to fraction out the existing coins to cater to the demand. And this makes the value of the coins higher. Hence, the danger of inflation is eliminated completely. Blockchain technology will soon take over across all industries. Because even though the current merchant processing system we have is archaic, what we have achieved in terms of payment systems so far is line with this prediction. In the future, digital currency will be the predominant trend. That means most commodities can be paid via your online wallet. But where does blockchain figure in this scenario and why will it be disruptive? Basically, blockchain records not only financial transactions but every single thing of value—in short, it’s the mother of all economic ledgers. However, its capacity doesn’t end there. Blockchain is an immutable ledger, which means it can never be changed or manipulated. Just imagine how groundbreaking that will be for businesses and their customers… This technology can singlehandedly eliminate the risk of fraud. And how does that translate to customers? Well, this means you’ll only need to go through the verification process once. The moment you satisfy the requirements, there is no longer a need to ever do it again. How? With one-day processing and closing on properties. With the information readily available on hand, the verification process for anything in any industry will take only a few hours. That means properties can be bought and sold within the day. While the real estate sector is the obvious beneficiary of this technology right now, this spells millions (or even billions) for the cannabis industry as well. Another sector that could greatly benefit from this is the health industry. Blockchain allows you to be able to talk to any doctor, hospital, or clinic around the world to verify information within seconds. Not only is that impressive in terms of receiving swift responses to medical emergencies, but it also indicates untapped potential in this industry. Remember, out of every dollar, 0.40 goes to the healthcare industry. There are already cryptocurrencies in development that aim to solely trade in document verification. This translates to practically dominating a huge market in an approximately $7 trillion industry in the US alone. Digital currency is shaking the stock market to its core. At the moment, none of the higher-ups truly know how to regulate this emerging technology with a recent declaration by the IRS to temporarily file Bitcoins and its kin under real estate. However, amidst all the confusion is the opportunity to make a small fortune in trading cryptocurrencies. Since these are currently in an unregulated space, it still enjoys its status of being untaxable. This gives interested parties the room to find their groove and experiment on their strategy. But it’s important to remember that if you do decide to invest in digital currency, don’t expect to “get rich quick”. As you invest in this new technology, remember to exercise due diligence. Make sure to take your time with your research. The massive disruption to the market right now caused by digital currency doesn’t happen every day…so don’t miss out on this incredible opportunity! Design a smart investing strategy right away—you need to strike while the iron’s hot. We currently have a small window of what could be the opportunity of a lifetime. Want to Discuss Your Wealth Building Strategy in a Free Gap Analysis Session with Our Team of Experts? Do you wonder whether you’re using all the tax, entity and wealth strategies available to you and if your investments are truly producing all they could be? Get in on the only conversation about money you need to be having with Real Money Talks. Learn from Loral and her team at an incredible live event workshop! At her world famous Off Wall Street Assets event you will learn how to make, keep, protect and lead your wealth and create a lasting legacy. Loral Langemeier’s message is a powerful one. She has helped thousands of people think, act, and invest the way the wealthy do. By not taking risks, by not living our full potential, we risk it all! Say YES! now then figure out how. Loral’s philosophy is shared with you through her formula for channeling the right energy at the right time to reach the right directions. Loral Langemeier’s investment strategies make millionaires – and the best thing is that anyone can use them. What's the #1 Obstacle Holding You Back from Ultimate Wealth?